As you may already know real estate is a great investment. Buying a home is a good idea because generally speaking homes appreciate about 4-5% annually, of course some years may be more or less and your area may also differ. Four or five percent doesn’t seem like much of a return but keep reading and you’ll see how that figure is actually a lot more. Additionally you’ll get tax write-offs on your home purchase that will further increase your overall profits. 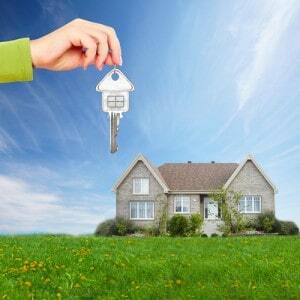 Lets take a more detailed look at the appreciation aspects of home ownership. Lets say you buy a home for $300,000 and if you got a loan to buy the home you didn’t pay cash for it. Assuming you got a conventional loan that requires you to put 20% down, your initial investment is $60,000. Now pay attention, here’s the good stuff… let’s use 5% appreciation annually as mentioned before, a $300,000 home would have an annual increase of $15,000 the first year. Ultimately the homeowner made $15,000 on only a $60,000 investment. Remember when we mentioned 5% wasn’t that much??? Does 25% return get your attention? What is OPM? OPM stands for other people’s money and in the example above home-buyers everyday use OPM to buy homes. OPM is also further defined by a bank loan, once you get a loan to but a home you are already using OPM and when you do you can also take advantage of the appreciation that money makes and also the tax write-offs and interest of the loan. Mortgage interest and property taxes are tax-deductible and before we go any further with this, please consult a tax professional to discuss your financial situation in detail as no one persons finances are the same. Now, since you can write-off interest on your mortgage and your property taxes that means the government is also helping pay for your new home. Pretty great right? As you can see buying a home is a good idea for many reasons, if you’re interested in purchasing a home please feel free to contact us and we’ll be happy to assist you through the process. For more information on the home buying process, check out our article Introduction to Home Buying and Home Buying Process Timeline & Paperwork. For more information on why buying a home is a good idea, please contact us or leave a comment below. We’d appreciate the opportunity to assist you.